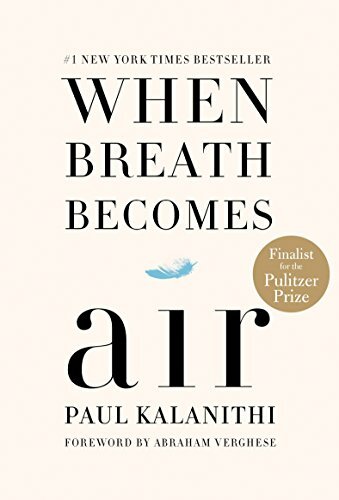 With a message both mournful and life-affirming, When Breath Becomes Air chronicles a young doctor’s journey from literature student to promising neurosurgeon and finally to a patient in his own hospital after being diagnosed with Stage IV lung cancer. Always profound, never sentimental, this important book refuses to take refuge in platitudes, instead facing mortality with honesty and humility. Written in engaging prose and filled with penetrating insights, this story is relevant to everyone and will captivate fans of memoir, literature, philosophy, and popular science alike. Lyrical passages of great beauty and vulnerability are deftly balanced by bright, candid moments of joy and even humor. Come prepared with plenty of tissues; over and over again this exquisite book will break your heart. This is a great choice for fans of Atul Gawande’s Being Mortal. You can read more and buy the book here. 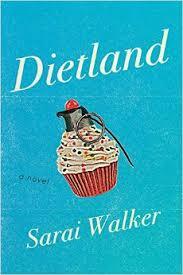 OMG I just loved this book! Imagine that a second girl from Kansas was swept away to OZ. But the OZ she arrives in is falling apart – literally. The color seems to have been dulled, and there is a huge hole in the middle of the land that is getting bigger. What has happened to OZ? Short answer is Dorothy. What, you didn’t know that Dorothy went back to OZ? Well she found her way back and now it is up to Amy, the new girl from Kansas, to try to fix things. Amy must decide which of her unlikely companions are the most trustworthy. Is it the order of the wicked witches or the wingless flying monkeys or both? Or are there other players in this game that we don’t know about yet? I hated to put this book down and read it in just 2 days. Here is a very scarce children’s book that just turned up in a storage box, having been misplaced for years. It was published by The John C. Winston Company in 1953, and may have seemed old-fashioned even then. 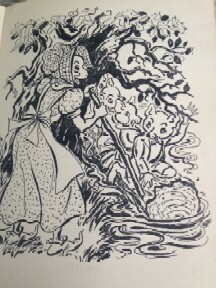 Marie Curtis Rains, who lived in Cincinnati, OH, wrote th e story, and Vera Neville did the charming and hilarious black and white drawings on full page plates as well as chapter-headings and in-text illustrations. The 8vo hardback book has green cloth covers with drawing of Liza on the cover, 119 pages, and formerly lived in a high school library that put a white letter on the spine and a discrete black identifying stamp on the title page and half-title. It is in less than very good condition because of worn cover edges and some soiling, but it is tightly bound, all intact, complete and unmarred by underlining or tears on the pages. 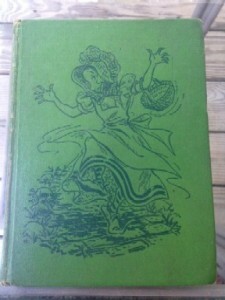 And the stories of Mr. Frog, Mr. Snake, Old Lady Fieldmouse, Dr. Doodle-Bug, One-Foot-Dooless-Drake and especially Liza Lizard herself are droll, funny and wise in the manner of Thornton Burgess and other writers of stories about anthropomo rphic animals. There are six chapters, and although books for elementary school children were not called “chapter books” in 1953, that’s what this is. Some people must remember Lazy Liza with great fondness, because there are only a few copies of this book to be found for sale on the internet, and they are quite pricey. This one is too, but less than any others I could find. It’s finally here! 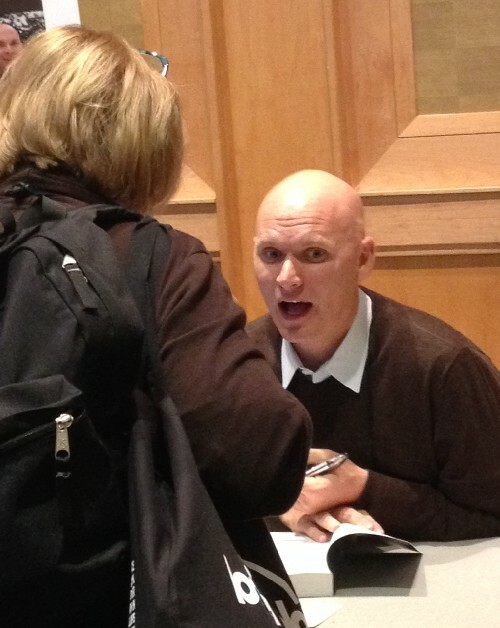 Anthony Doerr Day! Have you heard the news? 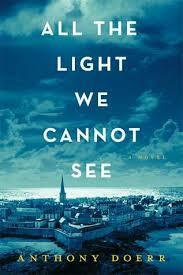 Today is pub day for Doerr’s brilliant new novel, All the Light We Cannot See. It’s a magnificent novel, tightly constructed, nuanced, and featuring lovely, likeable young protagonists set against the horrific backdrop of World War II. If you think you’ve read enough about World War II, I admonish you to take the time to meet Marie-Laure and Werner. And to revel in the beauty of Anthony Doerr’s prose. The French girl cannot see, but she can hear, feel, and explore the world around her like a budding naturalist. The German boy has no parents, but he teaches himself how coils of copper can receive lessons of love and learning. It’s World War II, however, and the potential of thousands of children will be unrealized or thwarted. Will a mythical gemstone save them or unite them? Gorgeously written, Doerr’s epic tale brings alive the beauty of two souls, their quest for learning, the turbulent times they cannot control, and the rock that mysteriously guides their fate. 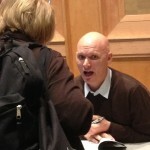 And here is Anthony Doerr at Winter Institute (a bookseller’s conference) in Seattle this January, signing my ARC (Advanced Reader’s Copy). Now to admonish Tony to come home to Cleveland, you know, to visit his folks and all, and to celebrate with a book signing at Loganberry Books. We’ve got the red (purple) carpet ready, Tony! I haven’t posted lately. It just — well, it gets busy. I was going to write up my trip to Chicago to buy remainders back in October, and Otis’ Old Curiosity Shop here this holiday season, and then my trip to Seattle for Winter Institute (a booksellers’ forum), and, and… But you know how that all goes. So, what’s up this week? 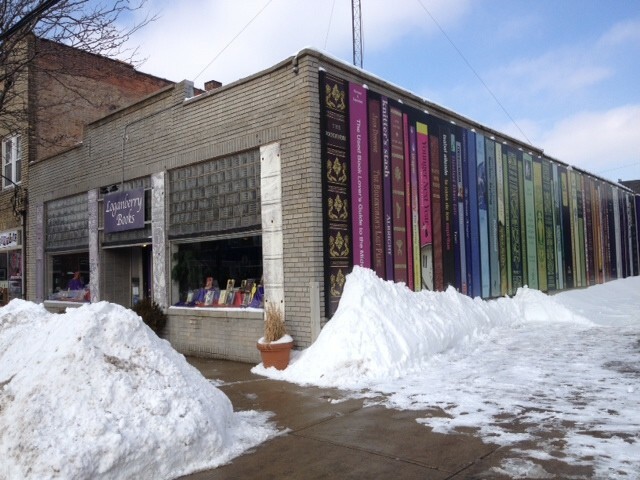 Here’s a peek into the life of a bookseller. Tomorrow, Thursday, we meet with Andy from Fujii & Associates to discuss new book releases from a myriad of publishers, including Houghton Mifflin Harcourt, Workman, IPG, Candlewick, and others. In the evening, we have an Annex Gallery opening reception for Irwin Weinberger, whose watercolor flowers offers a pleasant respite from the doldrums of winter. On Friday we sell books at Michael Grant Jaffe’s book launch party, an off-site event. We’re excited to try out our new mobile credit card reader. Saturday brings us International Women’s Day, and we’ll celebrate with the rest of the street, and give a portion of our sales to Seeds of Literacy, as well as some books. Monday brings many regional booksellers to Cleveland for a conference by the Great Lakes Independent Booksellers Association (GLiBA), and the reception following the seminars will be held at Loganberry! We gotta clean up for our special guests (booksellers! authors! out-of-towners! ), and you’d think it was spring with the number of new acquisitions we’ve been buying lately. I swear, when you turn your back, the books multiply. 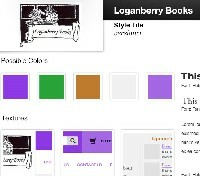 We also have a new website in the works. It’s many months in the making, but there’s finally something to really look at (still beta, not yet live), and there’s much content improvement on the horizon. We’re really looking forward to sharing it with you. All this, and it’s tax time, too! So… I found a minute to procrastinate that work to let you know what’s up in bookseller’s workaday. All good! If you’ve ever worked in a bookstore (or wondered what kind of exotic creatures work in bookstores), The Storied Life of A.J. 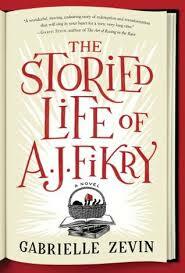 Fikry is a good place to start. Our title character is the depressed, widowed owner of an indie bookstore on a little island off the coast of Massachusetts. He’s let his social circle and life shrink down to almost nothing. He has only his work and his books, one rare copy of Poe in particular. Don’t let the curmudgeonly facade keep you away, however. A.J. is caustically, terribly funny. He has warmth and a touching humanity that is awakened by an unusual package that’s left at his store. Have we seen echoes of this story elsewhere? Probably. Does it matter? Not at all. Author Gabrielle Zevin has created a wonderfully structured novel around superbly real characters who like books as much as the reader. Reading may be a solitary activity, but A.J.’s life and Zevin’s book ultimately demonstrate the simple truth that literature can unite us and enrich any life, storied or not.